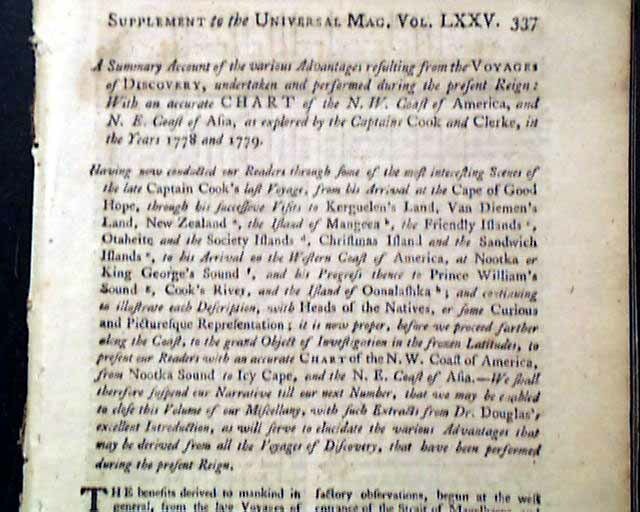 SUPPLEMENT TO THE UNIVERSAL MAGAZINE, London, 1784 This "supplemental" issue produced at the end of the year begins with a nearly 6 page article: "A Summary Account of the Various Advantages Resulting from the Voyages of Discovery, Undertaken & Performed during the Present Reign: With an Accurate Chart of the N.W. 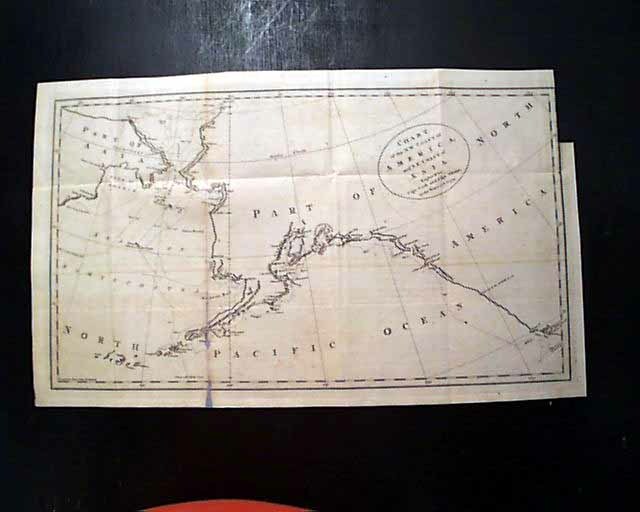 Coast of America, and N.E. 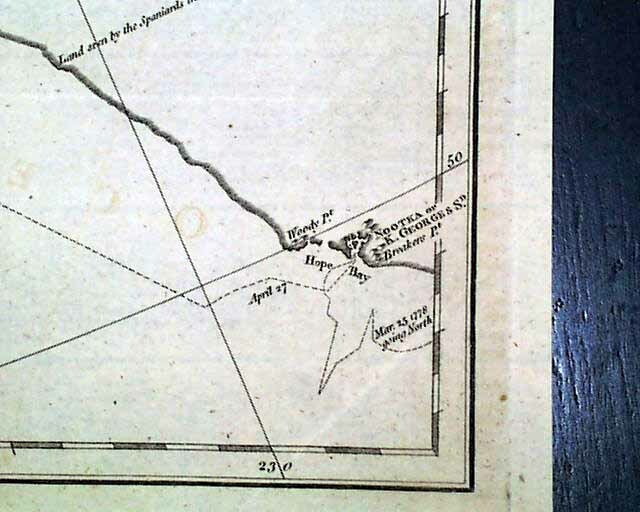 Coast of Asia, as Explored by the Captains Cook and Clerke in the Years 1778 and 1779." 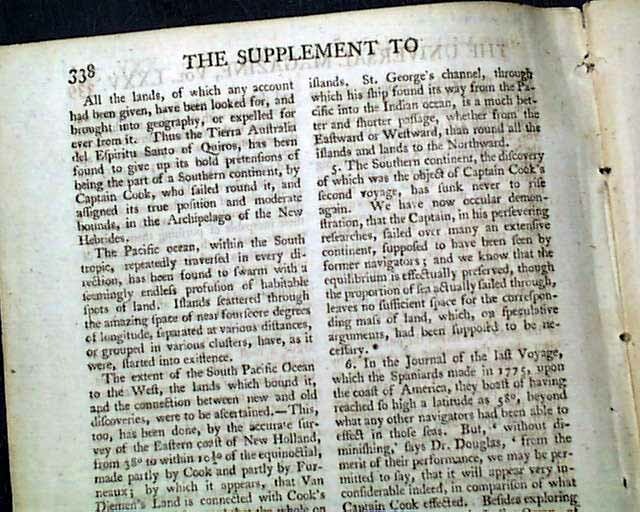 This lengthy article has considerable detail on the famed Captain Cook's exploration of this part of the world. Certainly the best feature is the very nice foldout map of the region titled: "Chart of the N.W. 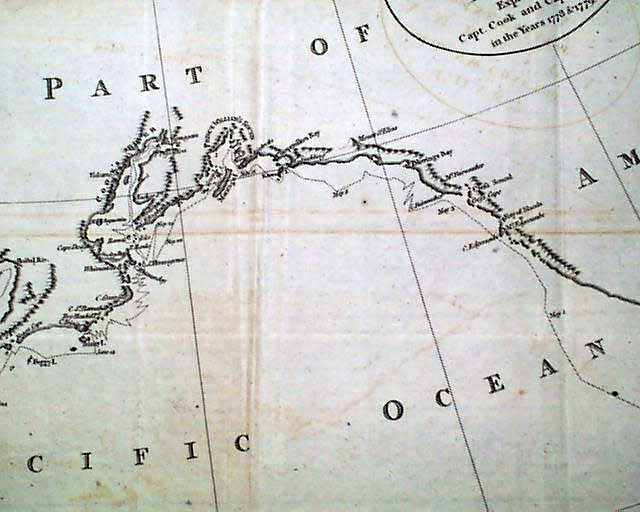 Coast of America and N.E. 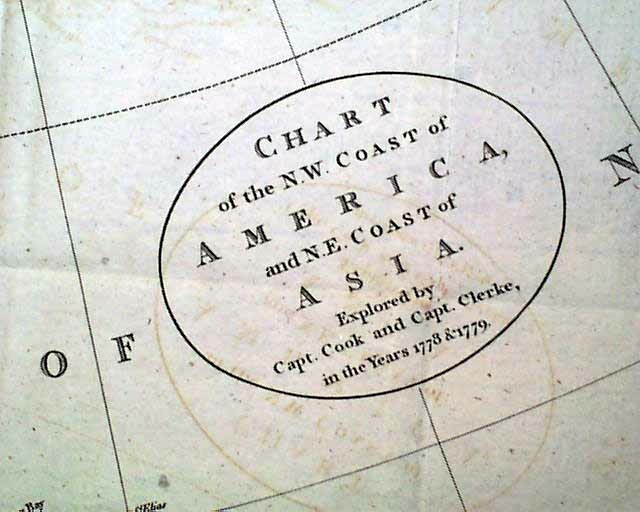 Coast of Asia, Explored by Capt. Cook and Capt. 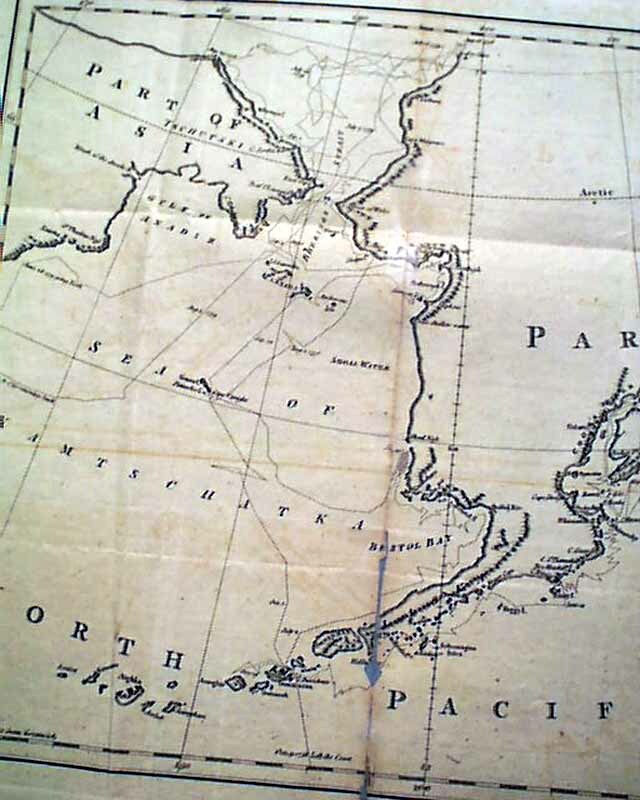 Clerke..." showing from close to what is Sitka, Alaska, today up the coast and out to the Aleutian Islands plus the Bering Straight, as well as the eastern coast of present-day Siberia (see). 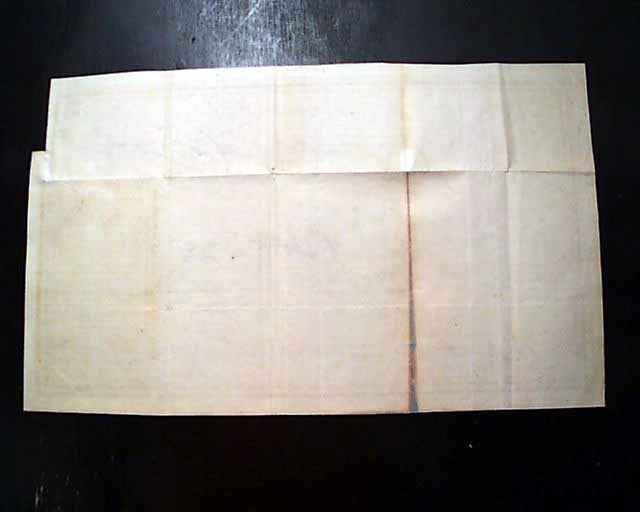 This map folds out to 11 by 18 inches, has an archival repair at one fold which has some minor map loss (see), otherwise is in nice condition. 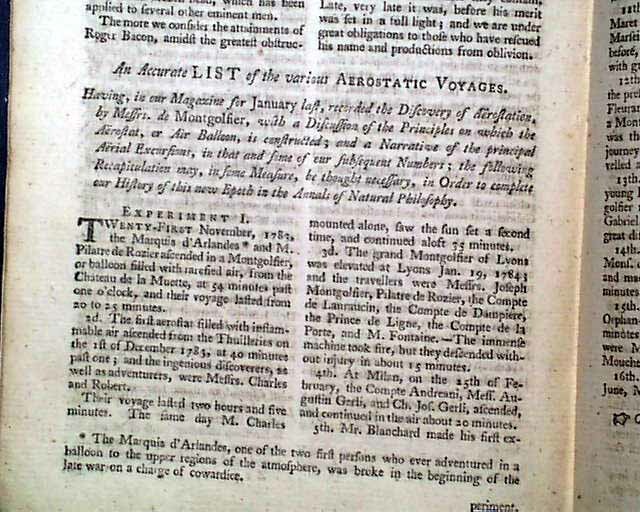 Also of interest is: "An Accurate List of the Various Aerostatic Voyages", or the earliest of the balloon flights, by Montgolfier & others. 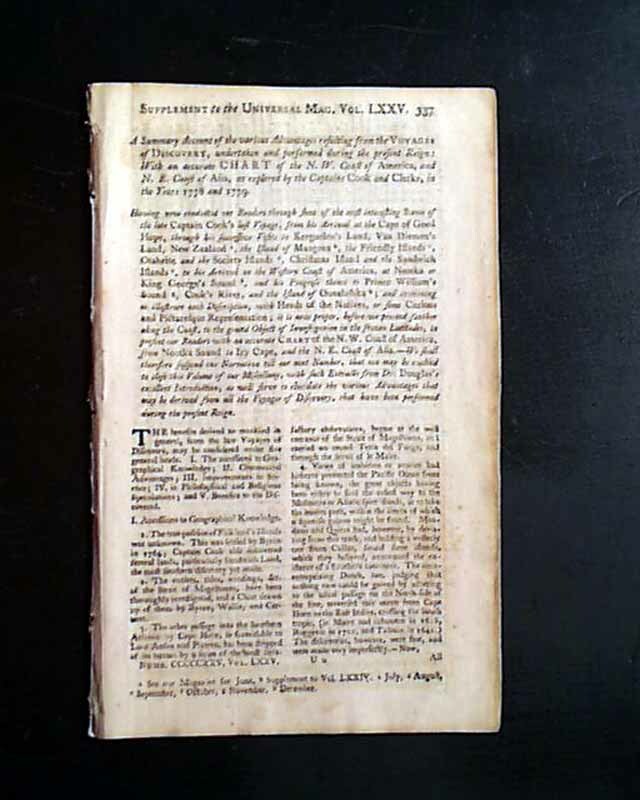 Complete in 50 pages, 5 1/4 by 8 1/4 inches, disbound without the outer wrapper (typical) so no formal title-date page, very nice condition. 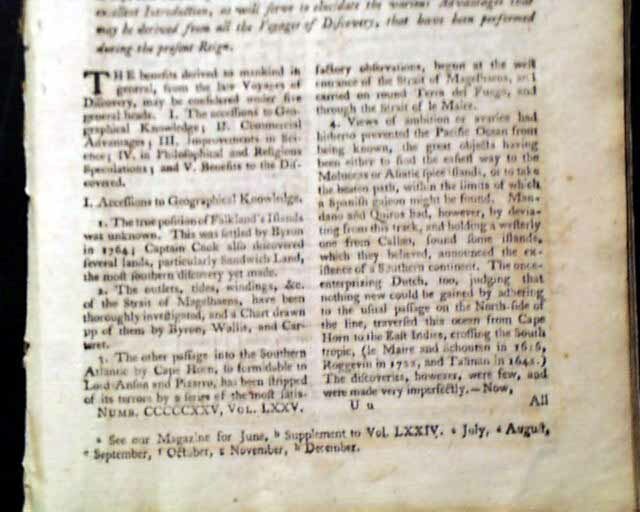 Included is a copy of the appropriate page from the book "Map of America in Periodicals Before 1800" by D. C. Jolly, verifying the date as the Supplement for 1784.